Dedication Event Honoring Dr. King Tomorrow! 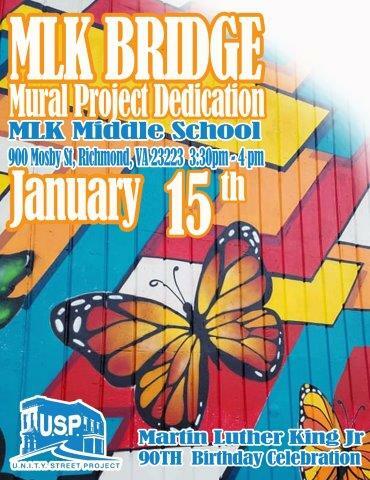 Please join UNITY Street Project (USP) artists and student artists from Richmond’s Martin Luther King Jr. Middle School for a formal dedication of the 2nd USP mural honoring Dr. King on Richmond’s Martin Luther King. Jr. Memorial Bridge. 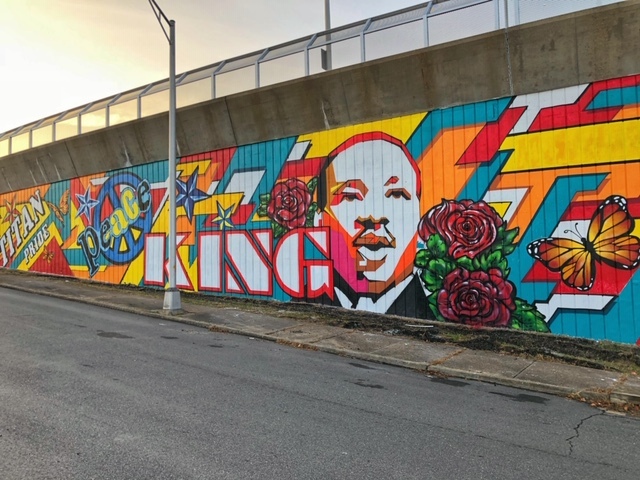 Along with discussing the newest MLK mural, comments will also include ideas related to expanding the commemoration of Dr. King, on top of the bridge and below the bridge. Time: 3:300 to 4:00 p.m.